I hope you are all enjoying your weekend! Did any of you do anything exciting this weekend? Unfortunately, I didn't. I have a lot of studying and work that has to be done. It seems that is all I have been doing lately. Its great to know that I am halfway through the semester, so it will surely be over soon! Anyways, I wanted to share with you all some of my favorite products that have been in constant rotation when it comes to my beauty routine. Also included are a few items that I haven't given much love to in quite some time. Don't you love when you re-discover products again? When it comes to foundation, I have been relying on a very cool combination of products that have been giving me all-day, lasting wear results. One of my best friends has recently started selling Mary Kay products, and I couldn't help but purchase this foundation. The Mary Kay Time Wise Matte Wear Liquid Foundation ($20.00) blew me away! This product has made me believe that there are foundations out there, that are capable of fighting against oily skin. I will have a full review of this foundation very soon, but I will say that this matte foundation gives a nice medium-buildable coverage, and it helps control my oily T-Zone area for the most part, all day. After I apply a layer of the Mary Kay Matte Wear Liquid Foundation, I then buff in a bit of Bare Minerals foundation on top. This combination is perfect for me. 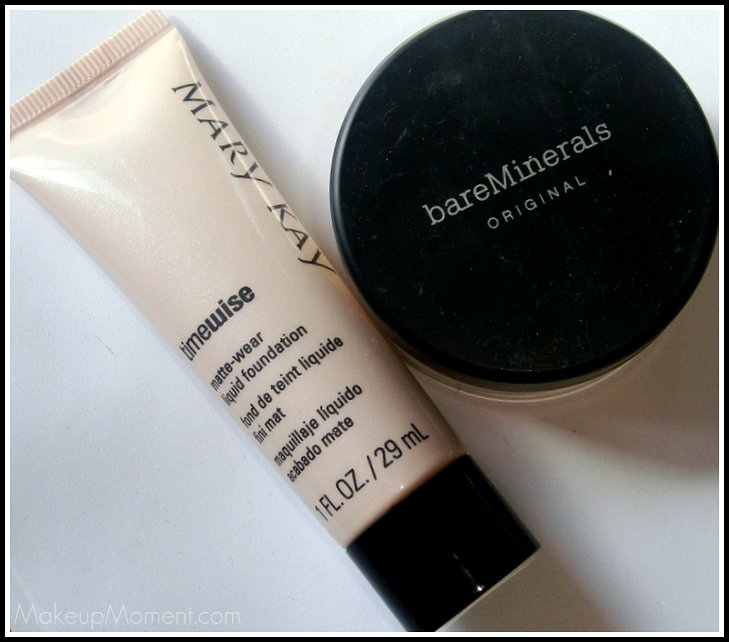 My foundation(s) last all day, and since the Bare Minerals foundation contains little hints of fine natural looking shimmer, it helps tone down the matte look of the Mary Kay foundation and adds a glow to my skin. I don't mind a matte foundation, but I can't help but love a glowing, healthy looking complexion. 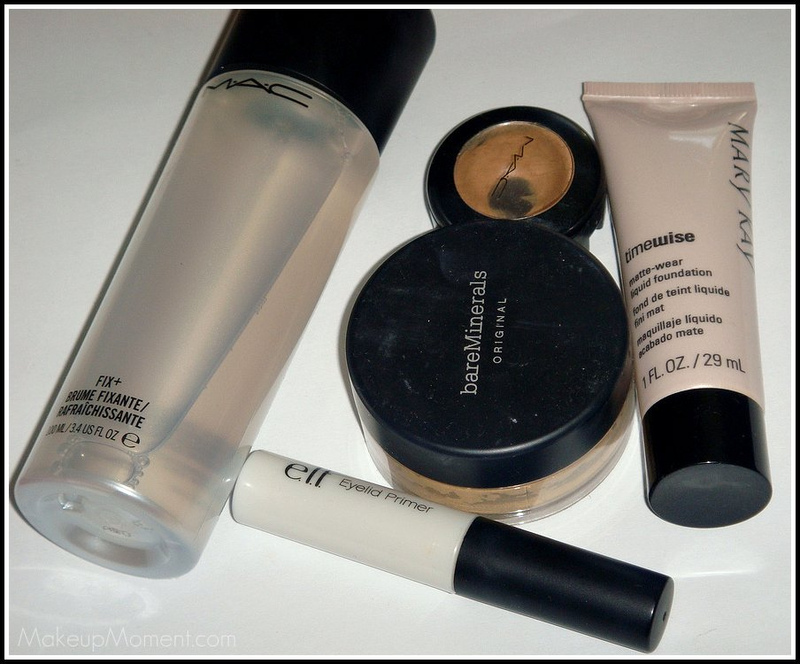 Check out my review of the Bare Minerals foundation HERE. I strayed away from MAC's Studio Finish Concealer for months. I purchased this concealer specifically to help cover my dark, under eye circles. At first, I was in love with Studio Finish concealer-the coverage was really nice, not to mention the added bonus of an SPF of 35. But then, I started to notice that the concealer settled in the fine lines that I have under the eye area. No bueno! Eventually, I fell out of love and moved onto other concealers. Well, I don't know about back then, but now I have fallen back in love with Studio Finish Concealer. Out of the blue, I decided to give it another shot and I was really happy to see that it had not settled in the lines, and the coverage was just lovely. I have not found the right product to completely cover my dark under eye circles, but this product sure comes pretty close. Also, I want to mention that a little bit of this product goes a long way. 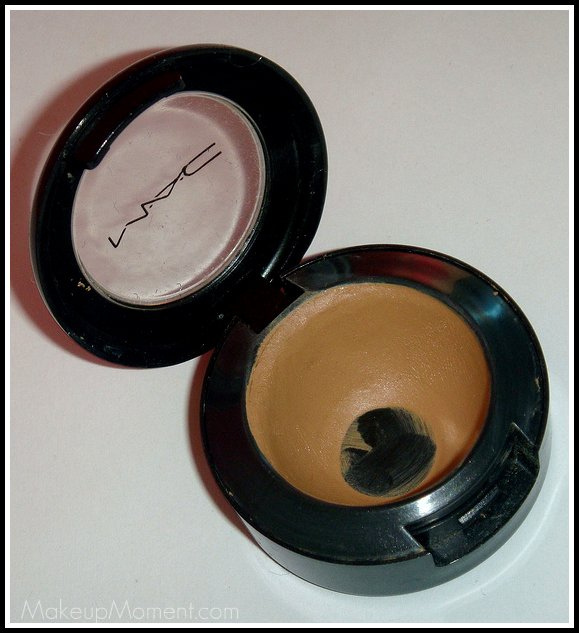 I remember I used to apply WAY too much of this concealer, and who knows? Maybe that is why it wasn't working too well for me back then. I have been using this concealer so much lately, that I have already hit pan on it! More than likely, I will do a full review of this concealer in the near future. 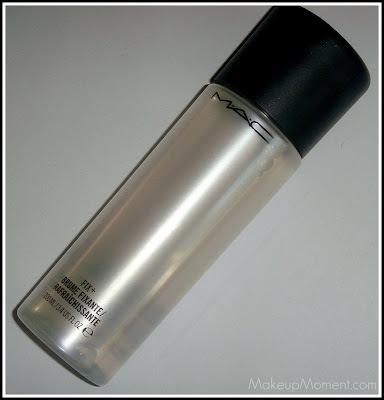 MAC's Fix + has been working wonderfully for me when it comes to giving my dry skin an extra boost of hydration. I apply my moisturizer, do 2-3 quick spritzes of Fix +, let it dry and absorb into my skin for about 5 minutes, then I go ahead and apply my foundation. My foundation goes on smoothly, easily, and it does not settle onto any flakes or dry spots. Winning! I have been a huge fan of this eyelid primer from E.L.F, which was part of the E.L.F. eyelid primer collection set. This shade-pearl, does wonders when it comes to helping my eyes appear brighter. Its awesome for those mornings when I look super tired. 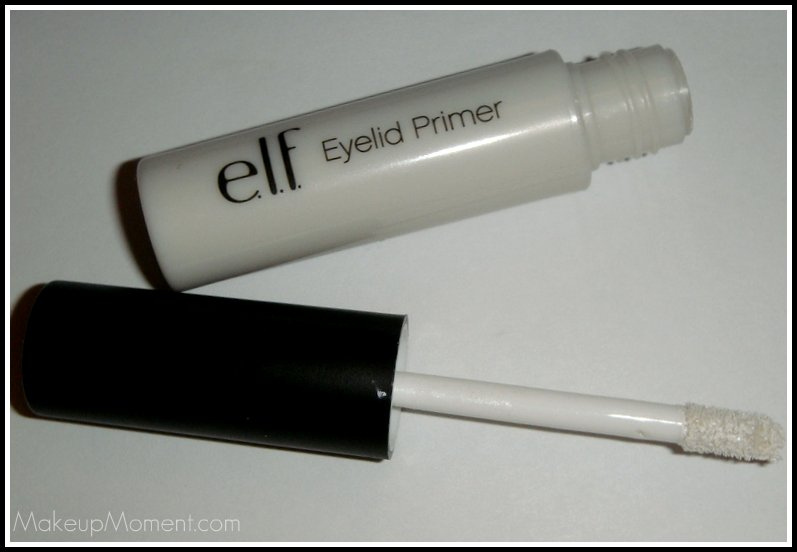 Not only that, but this primer goes on smoothly, its easy to blend, ans it helps my eyeshadow last a super long time. Check out my review HERE. Disclaimer: I am not affiliated with any of the companies mentioned above. All of the products mentioned are from my personal collection. I loveeee fix+ :) It's a staple in my makeup! I agree! I wish it cost less as well. And yes, I will definitely be checking this palette out when I stop by Sephora. Who knows, maybe I will fall more in love with it once I see it in person :) Thanks!